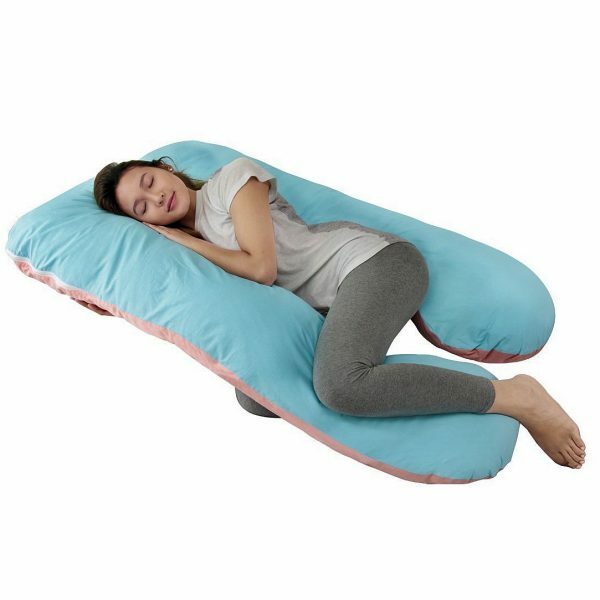 Great for maternity comfort, the pregnancy body pillow is perfect for pregnant women who need a comfortable sleeping position. It is also a great aid to a nursing mother when holding and feeding her baby. With an extra long u shape design and comfortable, adjustable filling, you can enjoy total comfort and relaxation. 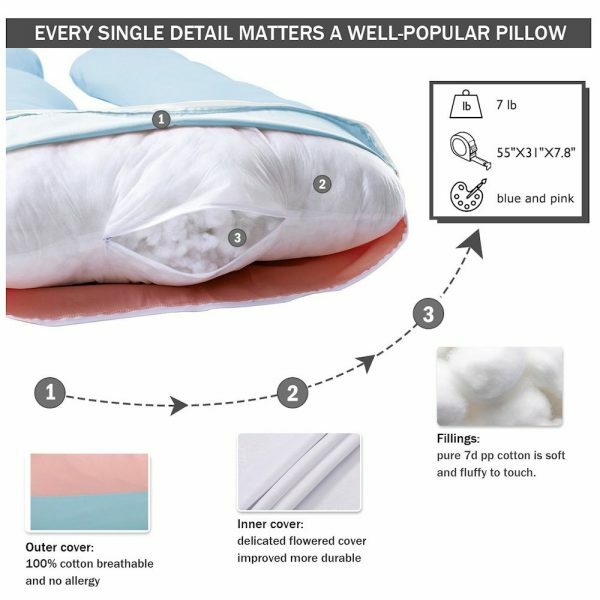 The body pillow uses a high density, yet extra soft polyethylene fill that is 100% hypoallergenic and retains loft for great performance and durability. Measures 55.1″ x 31.5″ x 7.8″. 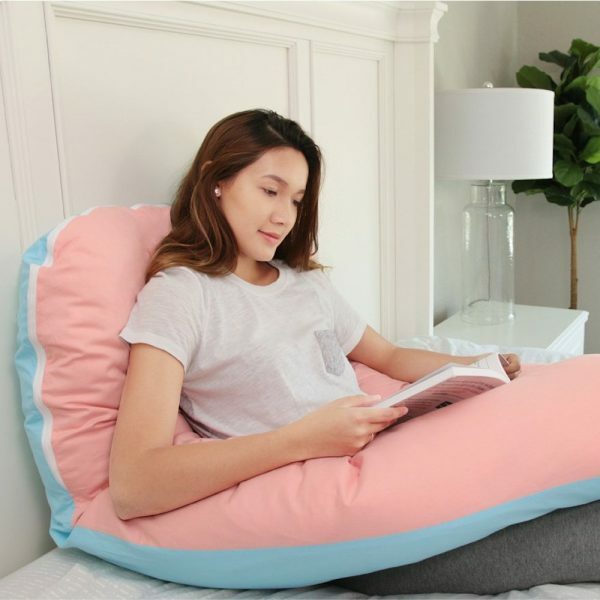 This popular pregnancy body pillow creates a comforting belly support for sleeping, nursing, watching TV, reading, nursing, and breast feeding. It uses a full body contour for better ergonomic use. Great gift for expecting mothers! 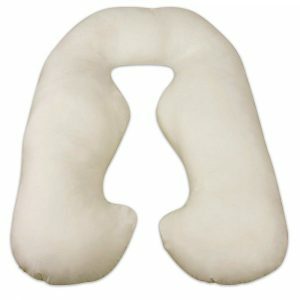 It is versatile for those who have difficulty getting comfortable due to neck, back or hip pain, sciatica, shoulder pain, fibromyalgia, or recovering from injuries. 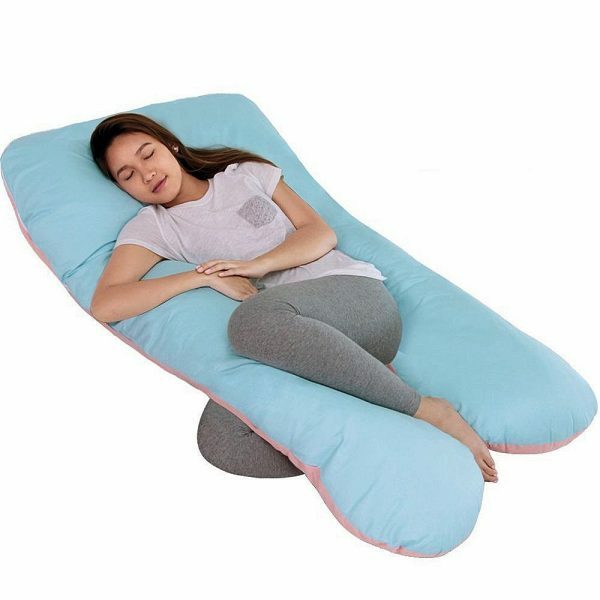 This is a high quality and durable body pillow made with a generous “U” shape design that conforms naturally to the body for sleeping in the best possible position for pregnancy; the semi-fetal curl. As you sleep, the pillow helps to align your body to reduces pain and muscle stress. It encourages a healthy sleeping position so important during pregnancy. 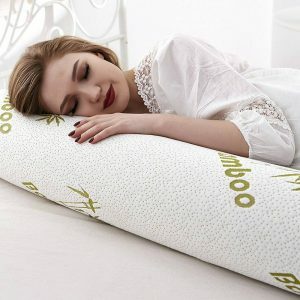 In fact, before, during and after, this is a great body pillow for anyone who seeks added comfort and posture support during rest and sleep. 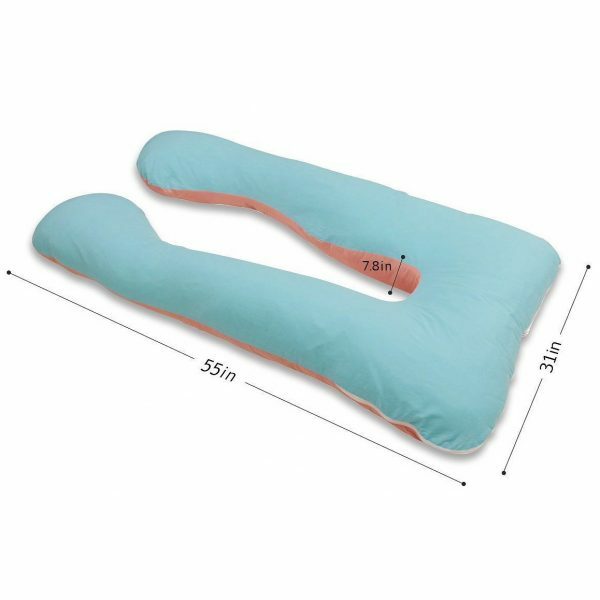 The pregnancy body pillow is also designed for home health care, long term care, and for people with disabilities. 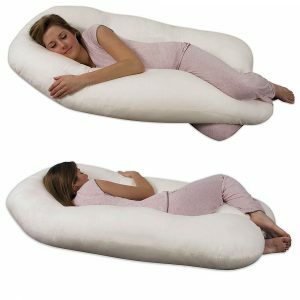 Pregnancy not required – this pillow has helped many patients with therapeutic comfort during difficult times. 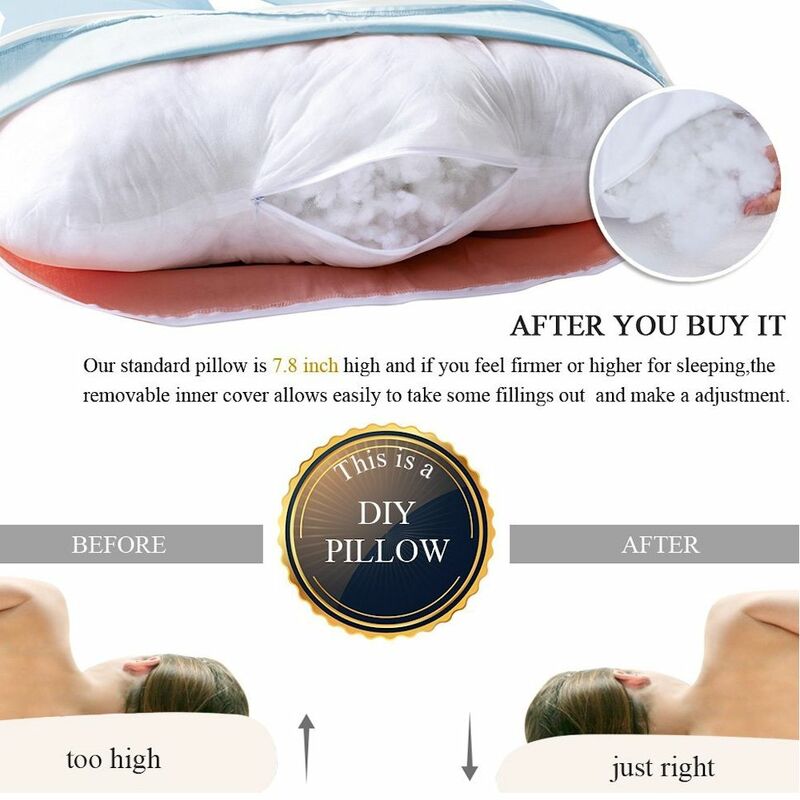 Often recommended by health care professionals for proper body support and can benefit neck and back problems, sleeping disorders, post operative recovery, geriatric care as well as pregnancy and nursing. Improve hip, shoulder, and spine alignment. 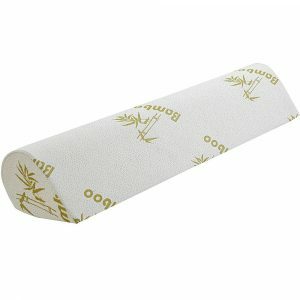 Relieve bones and joints from compression. Reduces bedsores through weight distribution and improves blood circulation.